Here are planning tasks you should do prior to setting up menu items. Define your menus, such as Breakfast, Lunch, Dinner, Late-Night, Bar, Sunday Brunch, Holiday, Happy Hour. You may have up to 8 menus per POS venue. Retail mode probably will not need more than one menu but this is your decision to make. Determine which menu will apply to each service time on each day of the week and which alternate menu will be available. For example, your lunch menu might be available from 10:00 am through 2:00 pm, with breakfast as the alternate menu during that time range. Determine which menus will be available at each terminal within the POS store. For example, a restaurant terminal might have a dinner menu as its default while a bar might have the bar menu as Menu 1 with the dinner menu designated as the alternate menu. This will allow both the restaurant and bar to access the same food and beverage items while setting the default menu appropriate for each outlet. The same item may be on multiple menus and the price may be the same or different. For example, you might have Cheeseburger available on the lunch menu and the dinner menu, but apply different prices. Determine the printers you will need, both receipt and remote printers. Examples: Cashier, hostess, hot, pizza, cold, pantry, bar. The printers will be numbered (1, 2, 3, etc.). Plan which remote printer each item should print to. Set up at least one Terminal Record. Set up a Keyboard/ Item Button Record for the terminal you set up. Set up Revenue Departments. Each menu item must reference a revenue department such as FOOD, BEV, etc. It is a required field in the menu item setup. See Departments/ Revenue Centers . Set up menu categories. Each menu item must belong to each one category and may belong to up to four. Note: The default category for a menu item is the first character of that item. For example, menu item A101 will by default belong to category A, which must be set up. See Item Categories . Set up menu item modifiers. Each two-character modifier designates a modifier set (the first character) and the modifier within that set (the second character). For example, M1 and M2 might be meat temperatures (M=modifier set, 1=rare, 2=medium rare, etc.). See Item Modifiers . If you are using Execu/Tech's inventory control you have the option of allowing the system to import inventory items into POS. If you wish, Execu/Tech can provide an Excel spreadsheet into which you can enter your POS menu items. This can then be imported into Execu/Touch POS. There is a fee for this service. If you will scan bar codes, place the letter I in the "Special code" field in the Store Record . Upper case letters and lower case letters are different characters and you may use them both. This is the menu item setup screen. Each field will be discussed. "Enter Item Code:" up to four characters. The characters may be numbers, upper case letters, lower case letters, or other characters such as @. The first character will be the default category, so all items of the same category should begin with the same character. For example, items in the "sandwich" category might be s101, s102, etc. If looking up an existing item you may enter the item code of use the magnifying-glass look-up icon. The item code is the record "key" and may not be changed. "1. Item description:" may be up to thirty characters. The descriptions will display on the item-entry screen buttons and will print on the guest checks. This is a required field. "2. Kitchen description:" is an optional field to use if you wish a different description to print on the kitchen chit. Otherwise, the item description from field 1 will print on the kitchen chit. "3. (P)rod(S)erv(M)emo:" should be P for most items. This indicates that this item is a product for sale and reflects in your sales report as such. M allows you to enter a memo item button that will print in the kitchen but not on the guest check. M items have no dollar value. Examples are FIRE and HOLD. "5. Item cost:" is the cost of the item to you, not the sale price. "6. Department code:" is a required field and should be a valid Revenue Department . "7. Remote printer(s):" assigns up to four remote printers to receive a chit when this item is selected. Enter the unit number for the printers you wish to receive the chit or remote printout. Printers must be configured properly in Printer Setup . "8. Modifier sets (0-Z):" assign modifier sets to this menu item so that the correct modifier choices will be available to the server when entering items on a guest check. If a modifier set is assigned, all modifiers within that set will display. The modifier sets (screens) will display in the order in which they are entered here. If you are using modifiers that increase or reduce the item's price, see the special notes in Item Modifiers . "9. Auto mod window? :" will automatically pop up the modifier windows if this field is set to Y. This makes it easier for the server when entering an item " with modifier choices. If this field is set to N, then the server may touch or click the "Modify" button at the top of the item-entry screen. "10. Kitchen dept (1-99):" allows items to be printed together by department on the kitchen chit regardless of the order in which they are entered into the computer. This field may be left blank if you do not wish to sort/print items together by department but wan them to print in the order they are entered. See also Printer Setup for print sorting. "11. Cooking time (min):" is informational only and is optional. "12. Cover item? (Y/N):" should be set to Y if you wish to include this item in your "cover" count. "13. Allow discount? :" should be set to N if you do NOT wish to allow a discount on this item. "14. Inventory #:" is used in conjunction with Execu/Tech's Inventory Control module (purchased separately) and allows the tracking of menu item sales. With Inventory Control, Items sold in POS will relieve inventory. "15. Item in 86 List? :" can be set to Y if you wish to enter a quantity amount for this item so that you can view the "86 List" for a count of remaining items. "16. Exclude from tips? :" can be set to Y if you do not wish this item included percent tips calculated by the system. Lines 21 through 28: "Menu X Price A/M"
Each item may be on more than one menu. Each item must be included on the active menu for each terminal that will sell this item. Each item must have a price and "A" must be in the "A/M" field. For Open items, the price will be blank with "M" in the "A/M" column. Items with a blank (zero) price and M in the A/M column will prompt for a price when the item is selected on the item entry screen. Items with a price must have an A in the A/M column in order to display on the item entry screen. Retail items imported from inventory and sold using a bar code scanner or by keyboard entry will have a "Y" in the "A/M" column. "31. Days/week:" may be used to sell items only on specific days of the week. Enter 1 for Sunday, 2 for Monday, etc. Use no punctuation or spaces. For example, 12345 for Sunday through Thursday. If this field is blank, this item will be available all days. Lines 32 through 35, "Category" places this menu item in the appropriate category. Each item may be in up to four categories. The default category code is the first character in the menu item. For example, item A101 would be in category A. Categories may include entrees, beverages, salads, clothing, books, etc., and are set up by code in Item Categories . Placing category buttons on the keyboard (item selection screen) will allow servers to display the items within that category. "41. Touch Button color: " determines the color of the button on the item entry screen. It is a good idea to make all items of the same category the same color as the category and as each other although this is not required. Do whatever makes it easiest for your servers. When you get to this field, press on your computer keyboard to display common colors. Note that each color has a numerical code. You may play around with colors, using numbers, four or fewer digits. Remember to keep the screen restful and easy to read. When you are finished entering items, click the "Save" button to save this item. If you have more items to enter and they are similar to this one, click the "Another" button. "Another" will save this open and then open a new screen for you to enter the next item. "Item code" is blank, requiring you to enter a new code for the new item. You may enter a new description. 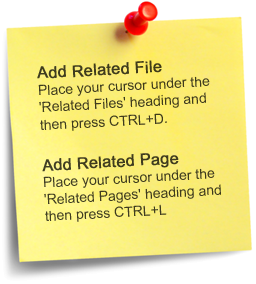 To copy and paste text such as an item description, highlight the text with your mouse, right-click and select Save. Place your mouse cursor in the field to paste it to, right-click and select Paste. Keyboard shortcuts will not work within the application.